I've been to Las Vegas enough times and used all of the common forms of ground transportation including taxi cabs, airport shuttles, rental cars, monorails, walking, and the city bus. In most of my trips I've used a combination of taxi rides, walking and the monorail. On our latest trip to Vegas my wife and I had a rental car and it turned out to be a pretty good option for us. Usually in the past renting a car for me didn't seem as practical given the amount of travel I expected to do and the difficulty in navigating Vegas traffic. But we were lucky that traffic wasn't bad cause if traffic gets snarled on the strip then you can spend a long time sitting while the pedestrians flow past your idled car. There are a variety of transportation choices in Vegas. Below I list the main alternatives and discuss some positives and downsides for each. Usually taxi's are the easiest, quickest, most comfortable and most convenient way to travel around Vegas. If you have a few people then taxis can even be a reasonably priced option. In my experience a typical taxi fare is usually around $15-20 including tip. Short hops up and down the Strip could be as low as $10. Don't forget that tipping is customary. The taxi fares in Vegas are $3.30 minimum plus 20¢ per 1/12 mile and $30 per hour waiting. If you are picked up at the Airport then there is another $1.80 fee. 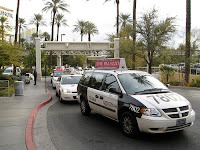 Taxi trips in Vegas can add up but they are usually very convenient and its easy to catch a cab at most major casinos. However if its busy then there can be long lines at taxi stands or shortages of cabs. I've waited as much as 45 minutes to an hour in the taxi line at the airport before. I'd also be on the look out for the scams that some taxi drivers try on unsuspecting tourists. Most common trick is to take the 'long way' to jack up the fare. You usually do not want to take 'the tunnel' when leaving the airport to get to the strip unless theres a major traffic jam. I've also seen one cabbie trying to play games with the meter. So be aware of the route you should be going and watch the meter. I really don't want to paint taxi drivers negatively as a group and in my experience 99% of the taxi drivers are honest. If you want to get a taxi then be aware that you can only get a taxi at a designated taxi stand and hailing a taxi from the curb is not allowed in Vegas. Rental cars in Vegas can be very practically priced. I did some quick searches on Hotwire for 4-5 day periods in July or September. I found car rental rates in the $20-$35 range per day including taxes and fees. Having a rental car can be a real convenience and give you freedom to do a lot of running around. But heavy traffic on the Strip can make driving there a gigantic pain. That reason alone is a good enough reason to avoid renting a car especially for someone unfamiliar with Vegas. Parking is usually free and pretty plentiful almost everywhere in Vegas. The garages near downtown seem to charge for parking now but you can often get validation at the casino. Personally I'd avoid valet parking or you'll end up paying a lot in tips and it can take a while for the valet to retrieve your car. Of course I'd avoid rental cars if you'll be drinking much and don't have a designated driver. If you're planning any day trips outside Vegas then getting a rental car makes even more sense. You can also get a rental car for 1 day to do your day trip and use other travel methods for the rest of your stay in the city. There is airport shuttle service too and from McCarran airport to the major hotel locations. Shuttle service at McCarran costs $6-$8 per trip to strip and downtown hotels. Unfortunately the shuttle service can be a long tripwith the shuttle making multiple stops at various hotels to drop off people at each stop. If you have just 1 or 2 people then the shuttle can be the cheapest way to get to your hotel from the airport but for more people a taxi may be cheaper. 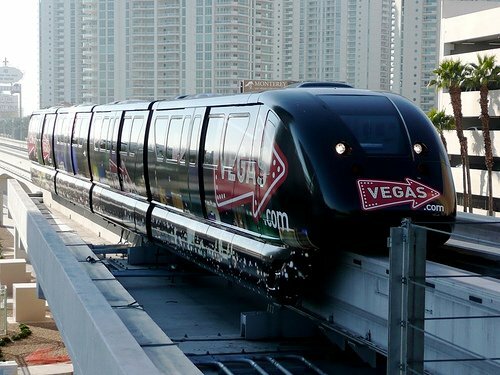 The monorail is a pretty easy and fairly practical option if you just want to go from one major strip hotel to another. The monorail costs $5 per trip per ticket. Or you can get a 1 day pass for $12 or a 3 day pass for $28. The Monorail travels parallel to the strip on the East side. There are stops at several major hotels going between the Sarah at the North and the MGM Grand to the South. One downside of the monorail is that you have to walk through the entire casino and hotel in order to get to the monorail station. Since the hotels are huge getting to the monorail station at the rear of the property can be a 1/4 mile trip. Walking is often better for short trips from one hotel to the next on the monorail For example walking from Harrahs' to the Flamingo is about 1/4 mile along the strip. But if you took the monorail you'd probably walk about 1/2 mile total to go to the back of each property to get too and from the monorail stations and spend $5 per person for the trip. Keep in mind that if you have a number of people taking a trip then the cost of tickets can be more than a taxi ride. Walking is obviously free and also a nice way to work off some of the food consumed in Vegas buffets. However distances in Vegas can be deceiving and walking can talk a lot of time. The hotels are huge and take up a lot of space and tourist maps may not be to scale. It may look like going from The Venetian to Bellagio is just "a block away" but its actually a 2 mile round trip hike. If you consider that you're already probably walking a half mile round trip just to get through the large casino from your room to the outside you're probably already walking enough as it is. Wouldn't you rather spend your time on vacation having fun? Also consider that Vegas can get very hot in the summer so walking a mile in 100+ degree heat in the middle of the summer can be pretty tough on you. Another thing to be aware of when walking the strip are the vendors handing out sometimes pornographic pamphlets for adult oriented services. But if you're up for a hike and like the atmosphere of the Strip then you can't beat the price of walking. The local mass transit in Vegas has regular bus service up and down the strip and to Fremont. They have a route named the Deuce that runs up and down the strip all the way to Fremont. Tickets for the Deuce route are $3. Or you can get a 24 hour all access pass for $7 or a 3 day all access pass for $15. You will have to wait for the bus to show up but they are pretty frequent. Buses can get crowded at peak times and you will have to know the routes and of course they only stop at the bus stops so you'll likely have to do some walking. Town cars and limousines are pretty common in Vegas but neither are frugal options. There are some companies that rent out exotic cars or scooters but both are not practical and are more of a novelty entertainment option. 1. Figure out all the trips you're going to take. 2. Find cheapest non-rental car option for each trip based on your needs. 3. Add up cost of each of the trips. If rental car will not work for you then this is your answer. 4. If rental cars are an option then find cost of rental car for entire trip. 5. Compare cost of #3 and #4. If rental car is cheaper then get a rental car. Round trip form airport. Taxi : $40, Shuttles : 4 x 2 x $6 = $48. Since there are four people you'll save money with the taxi instead of shuttles to get to and from the airport. Going to Fremont is cheaper by bus than taxi however since its a long trip and the bus is pretty cheap. The only practical option to get to the Liberace museum is the taxi. When you visit the strip walking is free and you're willing to do that to save money. In this comparison the rental car will run you around $30 more than the other options. You and a friend are going to Vegas for 3 days. 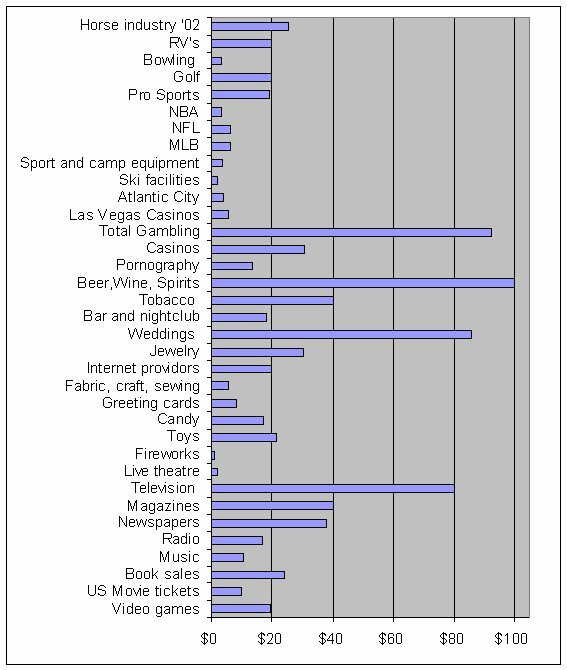 You'll spend most of your time gambling in your hotel the Luxor and you expect you'll be doing some drinking and a couple nightclub in other strip hotels. You don't plan any trips off the strip. You've got 3 trips. Round trip to and from the airport. 2 separate trips along the strip between casinos. Round trip airport: Taxi : $30, Shuttle : $6 x 2 x 2 = $24. The airport shuttle is cheaper round trip to the strip than a taxi for 2 people. For your visits of other strip casinos the taxi and monorail are about the same price so you choose to use taxis since they are a bit more convenient. Since you'll be doing some drinking you don't think rental cars would be a good idea. We got the airfare to California for free since I used airline miles. Normally we'd have to pay around $250 to $300 per ticket to fly down. That means our airline miles saved us $500 to $600. We spent $329 for our rental car. I booked it via Hertz online directly. I paid a little more to go with Hertz specifically since I have had good service and no hassles with them in the past. I've had problems with some other car rental companies in the past so I wanted to stick with Hertz. I spent $50 more to go with Hertz rather than book a cheaper company and I pent about $100 more than if I'd used Hotwire to book and pay in advance. I also saved a few bucks on the Hertz rental by using a discount code from American Express. There are various discount codes available for Hertz. I declined all of the optional insurance products that Hertz sells. Liability insurance $12.95 / day, Loss Damage Waiver $15 / day and Personal accident / personal effects coverage $5.95 / day. If I had bought all of those optional insurance products then I could have ended up paying another $270 or more. I have liability coverage via my standard auto insurance and my American Express card provides damage waiver coverage. We paid $254 total for our hotel in Anaheim. The normal cost would have been $333 but I cashed in airline miles from American Airlines to save another $122. But then we also got hit with a somewhat surprise $10 per night 'resort fee' during check in. I can't remember if I noticed that fee when I got the reservation initially. I shopped around a fair amount to compare hotels and find a good hotel that was close to the Disney park for a reasonable price. The hotel we booked is usually about $110 a night. The cheapest 3 star hotels in Anaheim run around $85 a night. The cheapest hotels in the area are around $50 a night but those are less 2 star level or worse hotels which are not close to Disney. We chose to go with a hotel close to Disney so we wouldn't have to deal with driving and parking or hotel shuttles. Parking at Disney is $14 a day in the normal lot. But the hotel wasn't as close to Disney as I thought. When I reserved it, it looked like it was "next door" to Disney when you look on the map at Google but thats actually a 15-20 minute walk each way to the park entrances. So we ended up paying $4 a day for shuttle tickets. I have a friend who lives in Southern California and he gets a discount on Disneyland tickets via his employer. My friend volunteered to buy the tickets for us so we could get a discount. My friends discount price was just $245 for two 3 day park hopper tickets. If we'd bought the same tickets ourselves we'd have paid about $370. My friend saved us about $125. For this item we totally splurged. We spent about $640 for 3 night stay in a 5 star resort hotel. You can easily get much cheaper hotels in Vegas that are perfectly fine. We could have gotten a decent 3 star hotel on the Strip for as little as $100. After we decided to splurge at the nice hotel I still shopped around. I looked for prices at every online travel site I use (Orbitz, Hotels.com, Travelaxe, etc) and ultimately found the best price directly at the hotel. We went to the Lion King show when we were in Vegas. Normal ticket prices are listed at $64 to $168. I got our tickets via an employee discount from my work. We spent $183 total so it was about $91.50 per ticket including tax/fee. But the tickets we got were in the second row so they were the most expensive section in the theatre. If I go straight to the website for the show and try to buy tickets in the same section we sat in then it costs $266 total for 2. Or if I look at the cheapest tickets in the house at the back of the balcony section then those would have been $166. Using my employee discount got great seats for the price of the cheap seats. We parked in the economy lot at the airport. we could have also parked in an off airport parking lot to save about $2 per day. That would have cut about $16 off the cost. We could have also taken public transportation to the airport and back. Tickets are $3 each way which would have ran us $12 total for a savings of $58. On the other end we could have spent $120 or $170 for parking if we had parked at the lots closer to the terminal. We chose to spend the $70 to park in the economy lot since its the easiest way without being excessive. We decided to drive from Disneyland to Las Vegas. We could have flown from LA to Vegas and saved some time. Cheapest flights from LA to Vegas are about $140 roundtrip. We would have spent around $280 total to fly. Instead we rented the car for 4 extra days for about $170 and spent $50 in gasoline. That saved us a net $60 plus we had additional savings in Vegas since we had the car there to use and didn't have to pay for taxis. We would have spent at least $70 or so on taxis and monorail travel in Vegas. I did have to pay $2 in parking when we went to the Fremont though. We spent $432 on food that I can account for plus some more in cash spending. I don't think our food spending was frugal at all but it wasn't that lavish either. Considering that it was food for 2 people for 7 days that comes out to just about $31 per person per day. Plus one meal was $80 at a fancy restaurant. Thats not too bad if you're eating at real restaurants and not packing sandwiches. So while our spending wasn't really cheap we did try to keep it under control and had some nice meals as well. Our frugal savings basically equaled the amounts we splurged on other things. In a way you can say that the frugal choices we made basically paid for some splurging and perks on the trip. For example if we hadn't saved up airline miles and used them to pay for the airfare then we wouldn't have been able to splurge on a 5 star resort hotel in Vegas. I've posted many articles (like the one yesterday) giving examples of when cash value life insurance isn't a good investment. To be fair and not entirely one sided on the topic I figured I should really talk about the benefits of cash value life insurance. One reason for whole life insurance that I've often seen cited is that it can help shelter your assets from estate taxes. So lets talk about that. I found this article Insurance: When Costly Insurance Makes Sense on Forbes from 1998. They say that generally whole life is a "bad buy" but that there is an exception: "You might find yourself in the exceptional category if you are a prosperous middle-aged saver looking at a policy primarily to transfer wealth to the next generation." In other words estate planning for people with higher wealth levels. One of the key benefits for investing in cash value insurance is that it can help handle estate taxes. So this can help you pass on your giant pile of money to your heirs when you pass away at a ripe old age. The Forbes article gives an example comparing the two options of buying a whole life policy versus "buy term and invest the rest". The whole life policy: "Say you are a healthy, 50-year-old man who wants to create a fund, worth $1 million immediately, to help pay estate taxes at your death. The premium for a typical whole life policy from a top-rated mutual insurer, with an initial death benefit of $1 million, would be about $24,000 per year, says Ratner." "The alternative strategy is to buy a cheap term policy and invest the balance of the $24,000 in a conservative municipal bond fund earning, say, 4% per year on average. That account would grow to about $1 million by age 77. If you die then, your heirs will collect that amount plus the $1 million death benefit from the term policy. 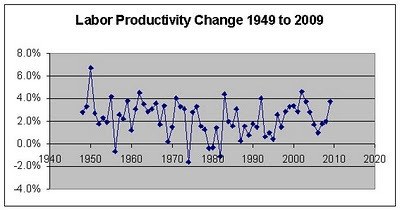 If you live, you could forgo insurance and probably maintain a $1 million-plus investment account with modest growth." "Those numbers sound okay--but a whole life policy would probably beat them in the long run. Ratner's projections of likely insurance policy dividends say that if you paid the same $24,000 per year into whole life--and recycled dividends back into the policy to increase the death benefit--the death benefit would slightly lag that of the term insurance/investment combo until age 68, then would overtake it. By age 77, the whole life policy would pay $2.3 million, or nearly $300,000 more than the term/fund combo. A low-load policy would provide substantially better returns. With the same premium, you would buy a bigger death benefit over time--about $110,000 bigger by age 69." Now there are some qualifiers to this comparison. They are using municipal bonds for the investments when buying term life. Municipal bonds are a very conservative and safe investment but they have relatively low returns. If you wanted to take more risk your potential returns are greater. I think their comparison is good cause the returns of a life insurance policy are comparable in risk and return rates to municipal bonds. And they point out that : "If covering a sizable premium becomes difficult in a policy's early years, whole life's inflexibility will hurt you." In other words if you are for some reason unable to make the policy payments and have to cancel the policy early then you'll take a big loss compared to simply saving the money in bonds. This all hinges on the need for estate planning to handle a significant estate with the purpose of avoiding estate taxes. Over 99% of people do not pay estate taxes, so this really only applies to less than 1% of the population who are the most wealthy. If you aren't a multi millionaire then this benefit of cash value insurance isn't going to do you any good. If you are very wealthy then I'd recommend you talk to a qualified estate planner to figure out how to best handle your estate. It is possible that cash value life insurance could help you with your estate planning if you're wealthy. But please don't get your estate planning advice solely from an insurance salesman. 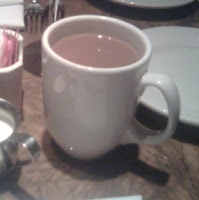 The cup of coffee pictured cost me $3.75. I was on vacation with my wife and we had a meal in the cafe in The Venetian which is one of the nicer casino resorts in Las Vegas. I didn't realize it was $3.75 until we got the receipt. I didn't even think to look at what the beverage costs were. The meal prices were actually not that bad considering how expensive the place was in general. Most meals there were in the $10 to $25 range if I recall right. Thats not cheap but its not highway robbery either. I guess I made the assumption that given the entree prices on the menu that the beverages would be similarly moderately priced. The hotel is actually pretty smart to jack up prices on beverages this way. I bet most do the same thing I did and not even really consider the cost of beverages. You just look at the cost of a $12 sandwich and think thats not too outlandish then order a drink to go with it without even really thinking about it. If you add tax and a 20% tip then that cup of coffee cost me closer to $5. So your $12 sandwich and drink turns into a $20 meal. The frugal thing to do would be to keep an eye out on these extra costs. Maybe I'll learn from my mistake and not order drinks without checking the price. An even more frugal option is to just order water. To be honest if I had seen the price of the coffee and known it was $3.75 in advance I am very sure would have went ahead and still ordered it. I have a slight caffeine addiction so it isn't something I do without too lightly. Plus we were in a very expensive hotel so my price expectations are different. If The Venetian wants to charge more for coffee then thats easier for me to swallow (sorry) than if Denny's started charging that much. Lastly we were on vacation and my frugality is in a different mode when I'm on vacation. Theres a little devil on my shoulder saying "live a little" and the little angel on the other shoulder isn't putting up much of a fight. So I guess I'd sum up the experience to say that I should watch out for the beverage prices in the future. At least that way I'll know if I'm spending too much. What do High School students want to be when they grow up? Are their career goals realistic? It seems that most high school students are expected to go to college and I wonder if the career expectations of teenagers are practical. The company RIGID conducted a survey of about 1000 high school students nationwide and asked what their career path was. The article mostly focuses on the skilled trades but they also list the other career paths that students favored. that leaves about 8% unaccounted for who I assume had various other interests. There are a lot of high school students looking to get into good fields. However I see some problems here. It seems that most students want to go into some form of professional field and there simply aren't enough jobs out their to support 40% of the population working in computers and engineering. There are too few people interested in going into skilled trades. There are far too many students who are interested in an entertainment or arts field. I certainly think students should pursue an career that interests them. However I think that everyone should have practical and realistic expectations about career potential. 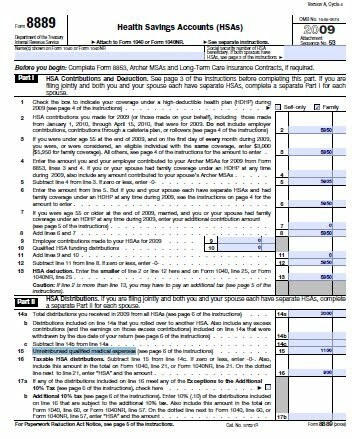 How does now being self employed and not paying SS benefits, how does or will this affect my ss retirement benefits? Hi. If you are making an income from self employment then you will normally pay self employment tax which covers the social security tax. The self employment tax is taken out when you file your IRS income taxes. The base tax is 15.3% up to $106,800 and then you pay the medicare portion of 2.9% on anything above that. If you've never been self employed then you may not be familiar with self employment tax. Self employment tax is basically how they collect social security and medicare tax for people who are self employed. However since you are both the employee and employer in this case you pay both halves of the tax. Normally when you work for a company as an employee you pay half the tax and the company pays the other half. 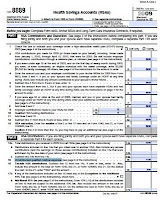 More information on the self employment tax is available at the IRS site.